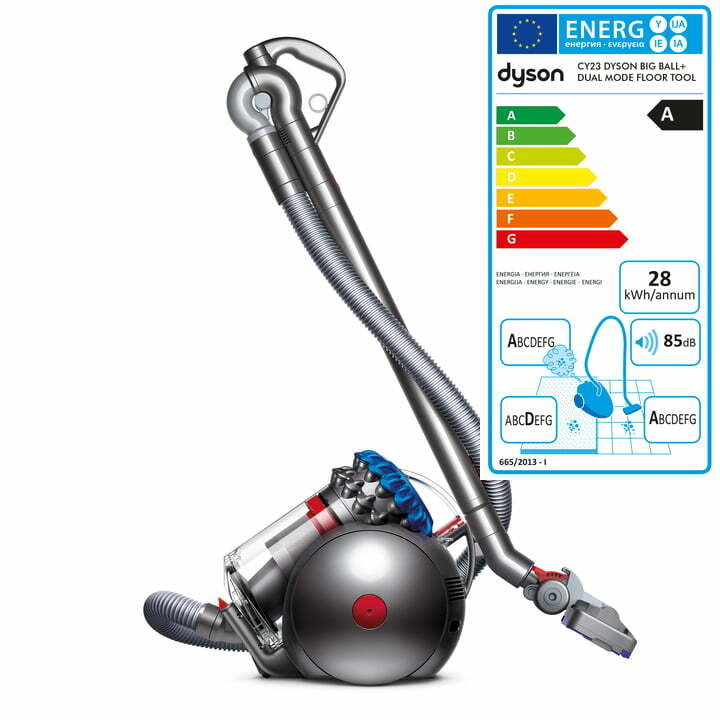 The Big Ball by Dyson is a powerful vacuum cleaner that offers hygienic bin emptying. Captured dust and dirt are ejected in a hygienic way during emptying, so that no contact is made with the dust. Ideal for allergy sufferers. 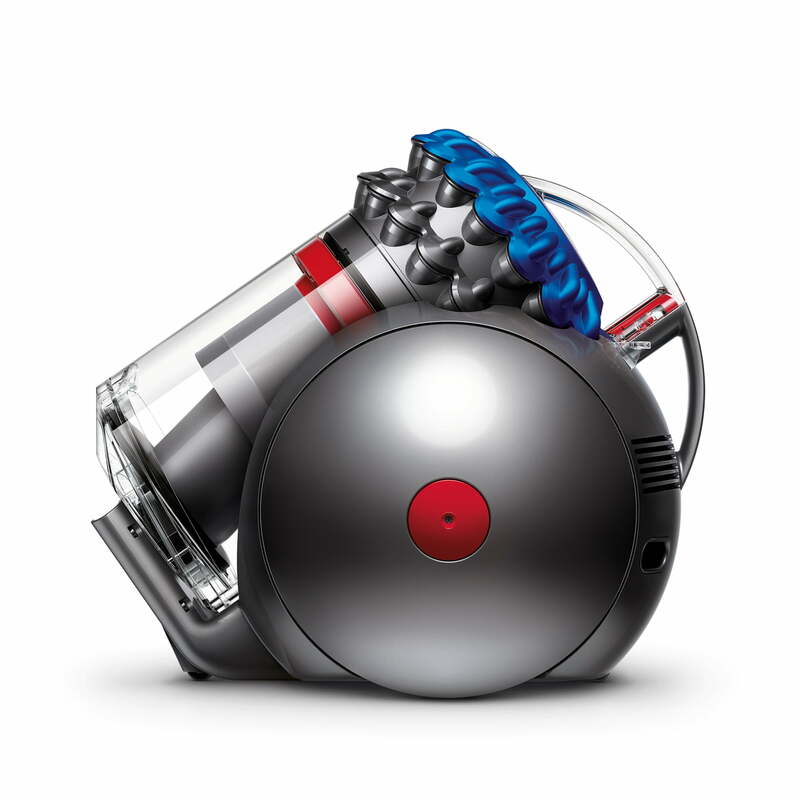 Supplemented with the 2 Tier RadialTM Cyclone Technology, which ensures a strong air flow, the Dyson vacuum cleaner has a high suction power that allows coarse and microscopic dirt to be collected. 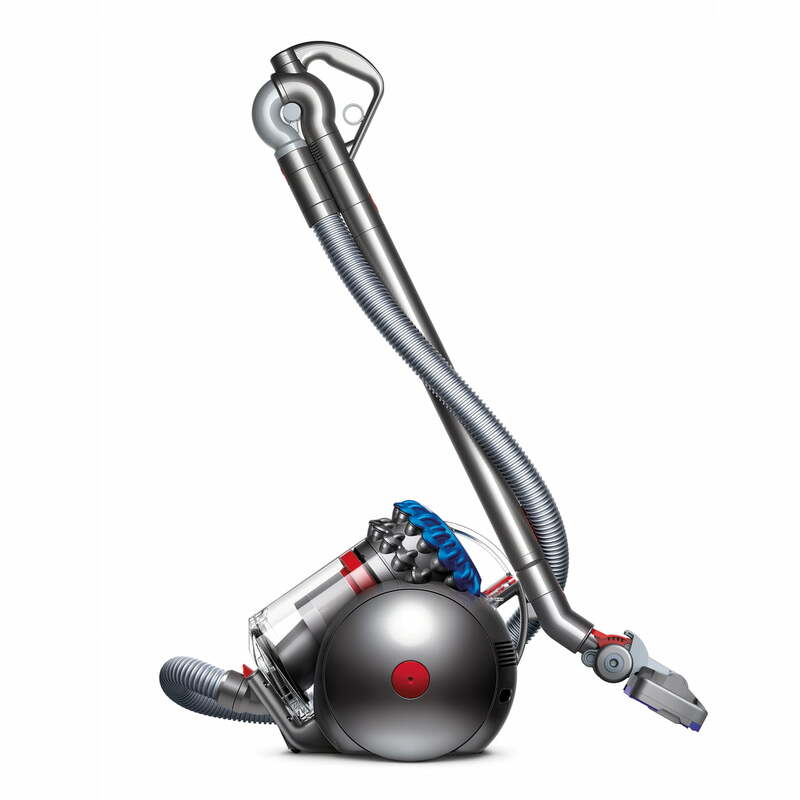 Equipped with the new Big Ball technology, the Big Ball is a particularly flexible vacuum cleaner: independent set-up, turning on the spot and the central mechanism allows greater control and smooth steering while vacuuming. Up the ceiling, on the floor and for gaps – no matter where, thanks to the removable suction wand, you can clean flexibly with the Dyson vacuum cleaner. Even difficult areas and corners are now in reach. The suction tube is extra light, stable and individually adjustable up to a length of 1.25m. Extra hard brush to remove stubborn and dried dirt. 2-piece accessories: upholstery tool and combination nozzle. Push mechanism for simple handling and exchange of the floor nozzles. Accessory adapter: accessories from previous models can be combined with the new technology.